If you love Italian and mushrooms then you will love this appetizer recipe. These mushroom caps are stuffed with lots of tastes from Italy. This recipe has been slightly modified from the original to make it healthier. By using turkey Italian sausage as a substitute for regular sausage there are less calories and fats per serving. Stuffed with lots of yummy flavors and colors, this healthy appetizer recipe will have your mouth watering for more Italian tonight. Remove stems from mushrooms and clean caps with a clean damp towel. Coat mushroom caps with oil and place on a baking sheet. Chop mushroom stems into fine pieces. Cook Italian sausage, onion, green pepper, garlic powder, and a handful of chopped mushroom stems in a skillet, then drain fat. Add bread crumbs, pepper, salt and spaghetti sauce. Simmer until all flavors blended together. Fill mushroom caps with meat mixture. Sprinkle mozzarella cheese on top of the meat mixture. 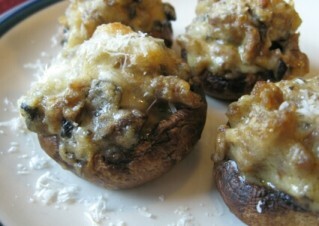 Cover with foil and bake at 350 degrees for about 20 minutes until cheese is melted and mushrooms are tender. Nutrition facts shown below are per serving. The number of servings for this appetizer recipe is noted in the header section below. The serving size is the first item noted on the nutrition facts table. The veggies are not included in the calculation for any of the Weight Watchers points. The turkey sausage is included in the Freestyle calculation as it is not plain ground turkey breast. If you are in the mood for some Tex-Mex snacks, then try this appetizer recipe. These potato boats put a spicy twist on stuffed potato recipes. 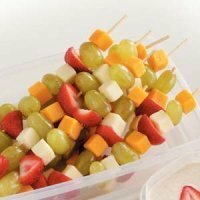 This kabob layers creamy flavors of cheese with juicy tastes of fruit. Go Mexican tonight and start your dinner with this appetizer recipe idea. 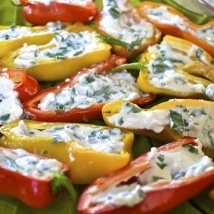 The creaminess of the stuffing compliments the sweetness of these mini peppers nicely. 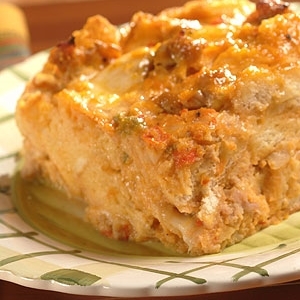 Make the whole day filled with Italian flavors and bake up this delicious breakfast casserole. 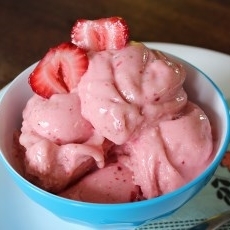 This frozen desert has lots of flavor and can cool you down on even the hottest days. 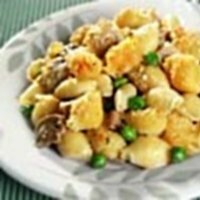 This chicken, mushroom and pasta dish is a great main dish for lunch or dinner. Find out how many calories you burn with your workouts and activities with this free online exercise calculator. Has your weight loss come to a screaching halt? Read this article and find out how you can push passed the weight weight loss plateaus.